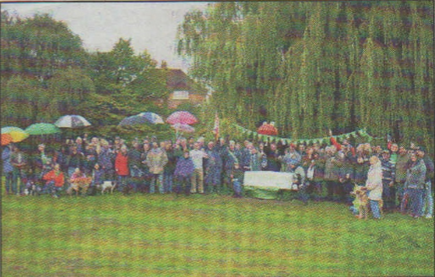 Campaigners and councillors clashed throughout 2013 over the future of Kingsmead Field, Canterbury. The land is earmarked for 100 homes in the council’s draft local plan but protesters are attempting to block development by registering it as a village green. Despite recommendations from Kent County Council staff to reject the application, and objections from Canterbury City Council. at a hearing KCC councillors said more information was needed before a decision could be made. Canterbury City Council, on instructions from the ruling executive, could still invoke a judicial review. It is certainly not something I will resign over. To be accused of not doing my job properly is a lesson in savagery but I am not a quitter. I will not walk away. Someone has got to make these difficult decisions and if people aren’t happy with them then inevitably that falls on the head of one person – me. But I have grown a thick skin, I have to in this job, and this petition certainly won’t force me to resign.